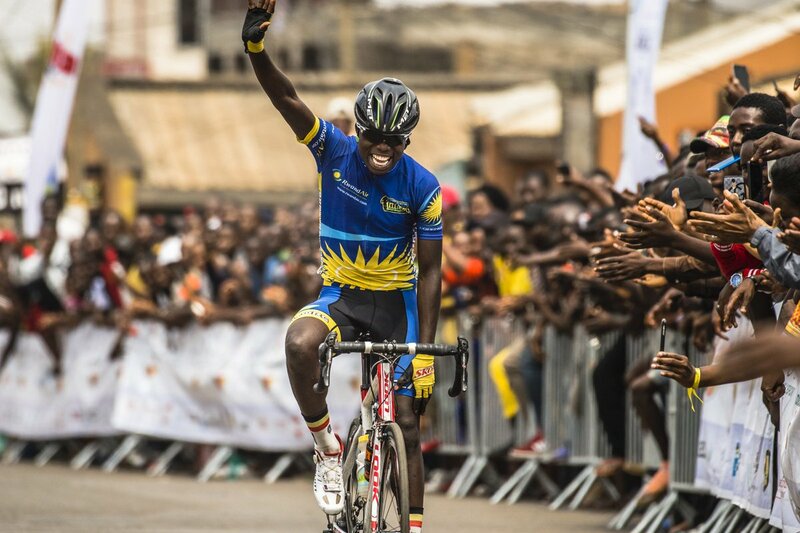 Team Rwanda rider Moise Mugisha won the last stage of the second edition of the U-23 African Cycling Race also known as “Tour de l’espoir” on Saturday in Yaounde, Cameroon. Mugisha, crossed the finish line after holding off the chasers to win from a solo breakaway in 1:57:29 over a 103.4km course in Yaounde. Taking advantage of the heavy gap in the overall standings, Mugisha managed to take a wide margin of advantage and then at the finish he kept well two minutes and one second (2’01) outpacing Ecuadorian Santiago Montenegro and 2’05” on the Japanese Shoi Matsuda, 2’08 “on the Ethiopian Negasi Abreha and 2’26” on the group of the race leader. The national team of Eritrea has been busy enough to control all the attacks, but the final success was taken by the 19 year-old Yacob Debesay who closed with 50 seconds on the compatriot Natnael Mebrahtom. The podium of the general classification was won by Eritrean Debesay Yacob who clocked a total 8:37:13 to amass 25 points. Yacob Debesay has succeded former champion Areruya Joseph who didn’t defend his crown following his participation in last month’s LA Tropicale Amissa Bongo race. Eritrea, the best team of this Tour de l’Espoir also earned qualification to 2019 Tour de l’Avenir which will be staged from August 15 to 25, 2019, in France.